I had a work trip in the very north of Italy in the province of Belluno. We were far north, close to Austria, up in the Dolomites mountain range. It was absolutely incredible to be surrounded by so much lush greenery (and fresh air). I can only imagine how beautiful it would be in the winter, covered in snow. If you want to visit this area, you definitely need a car. I’d recommend taking the train to Venice, renting a car and then driving 1.5 to 2 hours to the area. Unlike the rest of Italy, the restaurants close very early, around 9pm or before. We had a difficult time finding a place that was still open and were frantically calling different places. We got very lucky when one restaurant, Trattoria Ski Bar, agreed to stay open even though we didn’t arrive until 9:45pm. I had to write about Trattoria Ski Bar because it was literally one of best meals of my life. The owner was super friendly and greeted us warmly. Rather than have us order from the menu, he suggested to let him take care of the meal and pick and choose his favorites. We started our meal with a plating of different types of pasta. The first one was an eggplant gnocchi with fresh tomato sauce and cheese. Rather than using potatoes, there was only eggplant in this pasta. This gave the gnocchi as wonderfully light, but flavorful consistency. It was my first time having eggplant gnocchi and now I want to learn how to make it! The second pasta dish was a beetroot-filled gnocchi with a brown butter sauce, topped with poppy seeds and cheese. This was my favorite pasta dish. I loved the contrast of the sweet beet with the savory cheese and sauce. Next, we had a plate of carbonara-style linguini with lardons and cream sauce. For our main meal, the owner suggested deer with pan-seared polenta and mushrooms. However, he also mentioned that he had tagliata, which is grilled steak. Whenever I’m outside of China, I can’t pass up the opportunity to have red meat. Steak is so expensive in Shanghai and it’s all imported from Australia/Canada (I miss my American steak). While the rest of the table had deer, the owner happily substituted my main for steak. My meat was cooked perfectly. It was tender and so good with the mushrooms and polenta. The other highlight of the meal was the pan-fried cheese. I wish I knew which local cheese it was, because it was deliciously gooey and rich. While the apple strudel is a specialty of the region, you can pass on it at Trattoria Ski Bar. It was the only sub-par item of the whole night. I was honestly too full to care and could barely eat it anyway. If you have the opportunity to visit this area, I could not recommend Trattoria Ski Bar any more. Let the owner take care of you and you will not be disappointed. Also, I’d recommend staying in the Hotel Belvedere, which has amazing views, comfortable rooms and a great breakfast buffet. I’ve been very fortunate to travel to Turin a few times in the past year for work and it’s been an amazing opportunity to explore a city that I probably would have normally never seen. I’ve compiled a list of some of my favorite spots to eat in the city. Porta di Savona (Piazza Vittorio Veneto 2) is a popular destination for tourists. Set in a beautiful outdoor square with a fantastic view, this is one of the famous restaurants in Turin to get classic Piedmontese cuisine. I’ll admit that the food is here is definitely solid, but you come here more for the ambiance. It’s a great place to have an outdoor meal, have a nice glass of wine or spritzer, and watch the street transform from day to night. One of the most interesting dishes I saw was a mixed plate of savory and sweet fried food. On one plate, you can taste deep-fried lamb and pork and end the meal with deep-fried apple and pineapple. It was quite unique because you don’t normally have your dessert mixed with your main meal, but I liked it. I would definitely recommend the pastas at Porta di Savona (I tasted an amazing gnocchi) and be sure to make reservations because this is a popular destination! I found Da Cianci Piola Caffe (Largo 4 Marzo 9/b) by researching restaurants that locals recommended. Torinos love this small restaurant for the extremely cheap prices but good food. The restaurant was a little difficult to find because there are three cafés right next to each other and no discernible sign. So stay on the lookout for tables with yellow placemats and napkins. The menu is very small with a few appetizers, two types of pasta with different daily sauces and three main courses. I ordered the vitello tonnato, which is thinly sliced cold veal topped with a tuna and mayonnaise sauce. As you will soon see from all of my food photos in this post, I became obsessed with vitello tonnato and ordered it at every single restaurant. The combination sounds extremely strange, but it surprisingly works. You have a creamy tuna topping (kind of like an elevated tuna salad), which adds a punch of flavor to the more bland veal. For my main dish, I ordered the chicche with eggplant sugo sauce and shredded ricotta. I really loved the chicche, which is basically a potato based pasta like gnocchi, but it has a slightly different texture. The sugo sauce was just so incredibly flavorful (must be all the fresh tomatoes in Italy) and the shredded cheese was a nice salty complement. The appetizers are around 6 EUR and the pastas are 6 EUR so you can easily have a meal here for less than 15 EUR! The best meal that I had in Turin was at the restaurant at Il Circolo dei Lettori (Via Bogino 9). Il Circolo dei Lettori is actually an old building that is now a public space devoted to reading. Every month, they hold various events like book signings or events for kids. You can even rent out the beautiful rooms for a private event. In the basement is the restaurant where we had an incredible set menu. Highlights for me were the raw steak tartare, which is served very differently from its French counterpart. This raw meat isn’t seasoned with much other than salt, pepper and very high quality olive oil so you’re really able to taste how fresh it is. I really love their rendition of vitello tonnato because the veal was so tender. The meal continued on with fried zucchini flour with an Italian quiche (quite possibly my favorite course) and fresh homemade pasta with porcini mushrooms. While they were both delicious it was a struggle to finish my beef dish and chocolate cake only because we had so many courses! I would completely recommend this restaurant as a place to celebrate a special occasion or take a business client. It’s always been a dream of mine to visit Lake Como and that dream finally became a realization this summer. I took a day tour from Milan with Zani Viaggi to visit this famous lake. From Milan, a bus drove us to the city of Como where we visited some sights and then took a two hour boat road to the city of Bellagio. I can definitely see why George Clooney has a villa in Como. It seems like the perfect summer vacation spot. My photos can’t really do justice to just how beautiful the scenery was, but I wanted to share a few. Bellagio was also a gem. This small city was filled with steep staircases and little stores and restaurants hidden in alleyways. I had a relaxing lunch at La Fontana of fresh pacherri pasta with zucchini and clams and some awesome gelato at Gelateria del Borgo. There were plenty of shops selling handmade Italian leather goods and cookware. From Bellagio, the bus drove us back to Milan, just in time for dinner. I would highly recommend booking the Lake Como day tour with Zani Viaggi. Our tour guide was extremely friendly and knowledgable and all the logistics were handled very well. You can book a day trip through Viator.com. Milan is currently hosting the world expo with the theme of Feeding the Planet, Energy for Life until October 31, 2015. 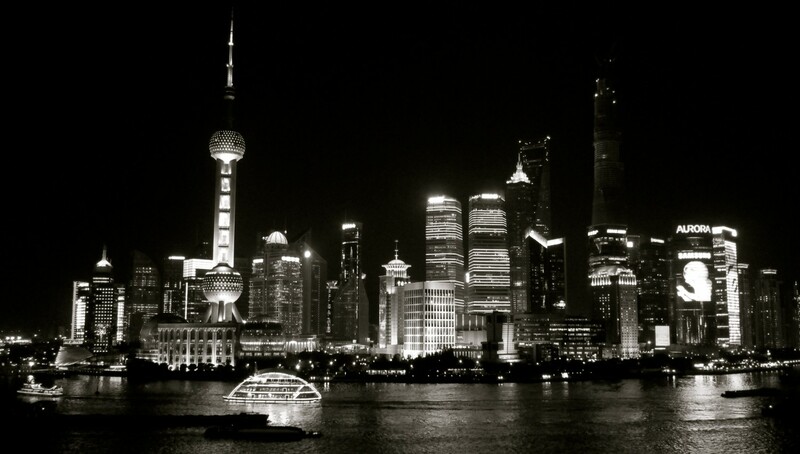 This was actually my second world expo as I was able to visit the Shanghai World Expo back in 2010. At the expo, each participating country develops a pavilion, which helps to showcase the country’s culture and highlight the expo’s theme. It’s a unique opportunity to see some cool architecture as some countries get really creative with their pavilions. I’m not going to lie. Visiting the expo is like visiting Disneyland. Most of the popular pavilions have long lines and you feel like you’re waiting in line for a ride. Compound that with the summer heat and you have a long day ahead of you. It’s definitely worth visiting, but I recommend trying to go on a weekday or even doing the after 7pm night tickets (which are also cheaper). My friend and I went on a Sunday, arrived at 10:30am (expo opens at 10am) and we had to wait an hour just to pass through security. Of the different countries we visited, I really liked Brazil and Holland. Brazil has an impressive two-story pavilion where the upper level is a giant net that you walk across. I felt like Holland really embraced the food theme because they did a bunch of street carts with Dutch snacks. Italy also had a nice section because each province had its own stand, highlighting the local food and produce from the region. It probably sounds silly that I ended up eating at USA’s Food Truck Nation stop, but I don’t feel as guilty since I only get to go back to the States once a year. My friend got a cheeseburger and I ordered a New England-style lobster roll. The cheeseburger wasn’t impressive (dry), but the lobster roll was amazing. The bread was a nice soft roll, which was buttered, and filled with fresh lobster. It totally hit the spot, making me a little less homesick. So is the world expo worth visiting? Yes, I would definitely say it’s worth visiting if you’re in the Northern Italy area. But make sure you wear comfortable shoes, pack a bottle of water and be prepared to wait in some long lines. Last month, I had a business trip to Turin and Milan, Italy. 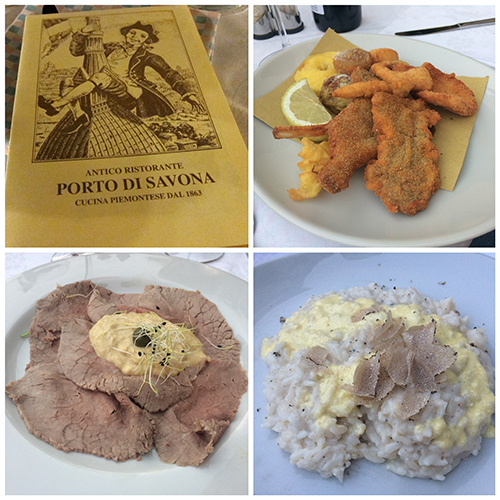 While it was a jam-packed and busy trip, there was still plenty of time to enjoy the magnificent food in Italy. I’ll start with highlights from Milan. One of my Italian colleagues is also a big foodie and he had recommended a couple of restaurants in Milan. He raved about Trattoria del Pescatore (Via Atto Vannucci, 5). I ended up eating there last minute and I kept calling in hopes of making a lunch reservation. Since they didn’t pick up the phone, I showed up right when they opened at 12:30pm (hence the photo of an empty restaurant). The restaurant owners and waiters were so kind to me and gave me a corner seat. I ordered the bottarga (salted cured roe) and clams spaghetti and Catalan-style lobster. The lobster is not for the faint of heart. It’s definitely a lot of work to eat. I rolled up my sleeves, used my lobster cracker and dug in with my fingers. While the lobster flesh was incredibly tasty, it was much smaller than I expected and expensive. I’d gladly go back and try other dishes. Reservations are an absolute must. The place was packed and they had to turn people away. I really enjoyed the atmosphere because the customers were all locals and a lot of them were regulars. It was really fun to watch the interaction of the staff with some of their most loyal customers. Giulio Pane e Ojo (Via Ludovico Muratori, 10) was also recommended to me for their Roman-style food. It was a really quaint restaurant and extremely popular. I enjoyed a delicious bucatini with a slightly spicy tomato sauce with slices of pancetta and a beautiful medium-rare steak. I basically ate red meat every chance I could get since the steak in China is so expensive. Giulio Pane e Ojo must be written up in a lot of tourist reviews because the entire restaurant was foreigners. Next to me was a Russian couple, across from me was British couple and on the other side of the room was a table full of Americans. It didn’t quite have that same local Italian feel that Trattoria del Pescatore had. I’ve written about Il Giardino de Segreti (Via Pasquale Sottocorno, 17) before, but I had to mention it again. It was the best meal I had in Milan and it was just as good as I remembered. It’s the best bottarga spaghetti I’ve ever had and the tagliata (rare meat) was amazing. The tagliata is very thinly sliced beef and they serve it rare. I made the mistake of ordering it medium rare. Since the plate it’s served on is very hot, the beef actually continues to cook after being served. So my medium rare became too well-done for my taste. It’s better to just let them serve it their classic house style.